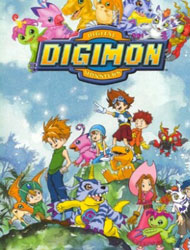 Watch Digimon: Digital Monsters full episodes online English Dub. Synopsis: When a group of kids head out for summer camp, they don’t expect it to snow in the middle of July. Out of nowhere, the kids receive strange devices which transport them to a very different world to begin their Digimon Adventure! Led by the plucky Taichi Yagami, the seven children must now survive in a realm far from home, filled with monsters and devoid of other humans.